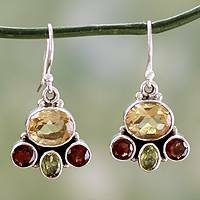 Find timeless beauty and fiery passion cemented in sterling silver and gold in NOVICA’s artisan crafted collection of garnet earrings from all over the world. 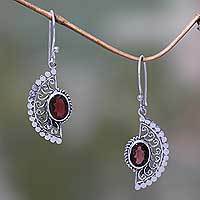 Fair Trade Garnet and Sterling Silver Drop Earrings, "Balinese Elegance"
The attention-commanding crimson glow of garnet, has made it a popular choice among jewelry makers and wearers since the Bronze Age. 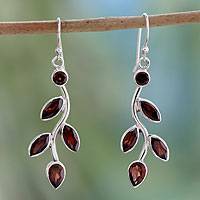 Although January’s birthstone comes in six varieties, the most common and beloved strain of garnet is deep red, which is also the featured strain in NOVICA’s collection of garnet earrings. 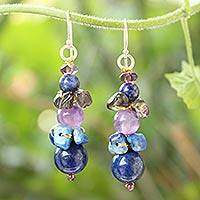 Far less common green grossular garnet is found in Siberia, but the scarcest found strain of garnet is a blue stone discovered in Madagascar. 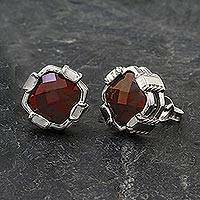 Set in sterling silver or gold vermeil, the maroon gemstone comes to life in our selection of garnet drop earrings. 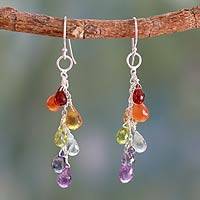 The red jewel thought to resemble the seed of a pomegranate has been mined in western Rajasthan for the past 200 years and is a favorite of our Indian jewelers. 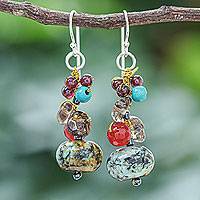 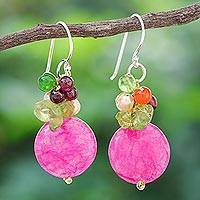 Artisans in this collection also feature the stone in floral designs, garnet heart earrings, dangle earrings, studs, and chandeliers. 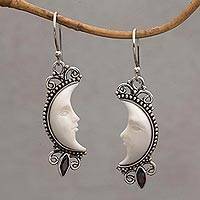 NOVICA’s commitment to quality craftsmanship and materials together with garnet’s timeless appeal guarantees enjoyment for years to come.